Teacher Tom: Download This App Today! 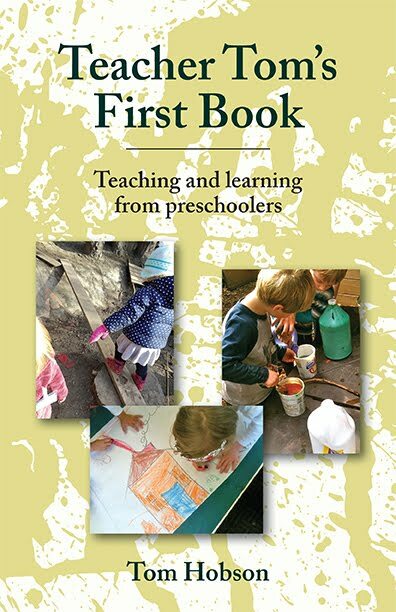 Let me state right up front, it wasn't my idea to download this latest app for the preschool. It was Luca's mom Megan who thought the school just had to have it. Her own kids had really enjoyed it, it was sooo educational, you know, the usual blah, blah, blah. I guess I should quit fighting it. After all our kids are growing up in this world, and huge sheets of cardboard are going to be part of it, but I worry about what it's doing to their brains. 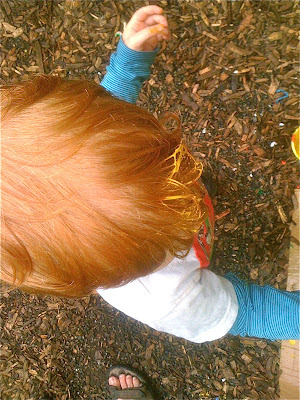 Still, for better or worse, there we were, taking part in this grand social and developmental experiment. It didn't surprise me, of course, that the kids took to it right away. I mean, it's cardboard, right? They all seem to be drawn to it. Honestly, it's amazing how they somehow intuitively knew how to turn it on and start using it. It only took a few seconds for them to figure out how to get to the napping function where they all cozied in together and made me turn off the lights. I have to say, that doesn't happen often without the app! 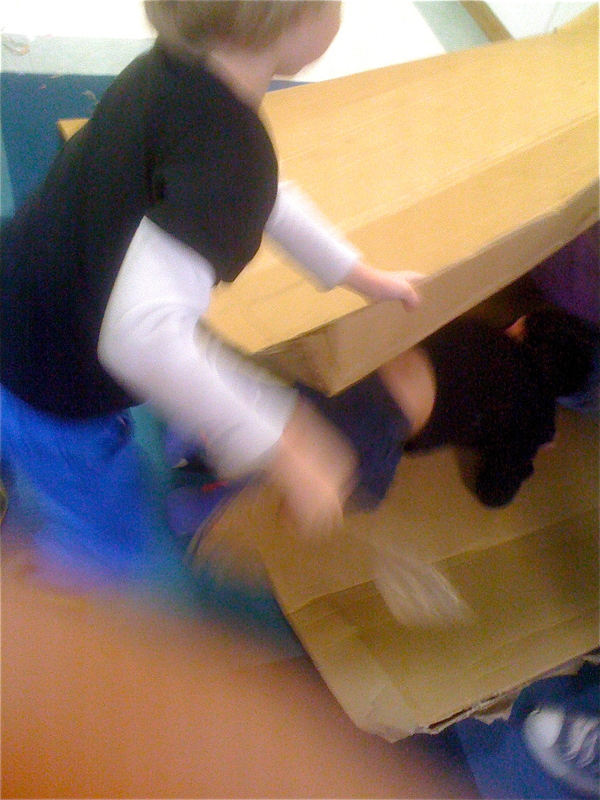 But what really impressed was when they discovered the fort building function. How they did it, I'll never know, but, I mean, there they were, 3, 4, and 5-year-olds already learning their forts! And I don't think they even knew they were learning anything. 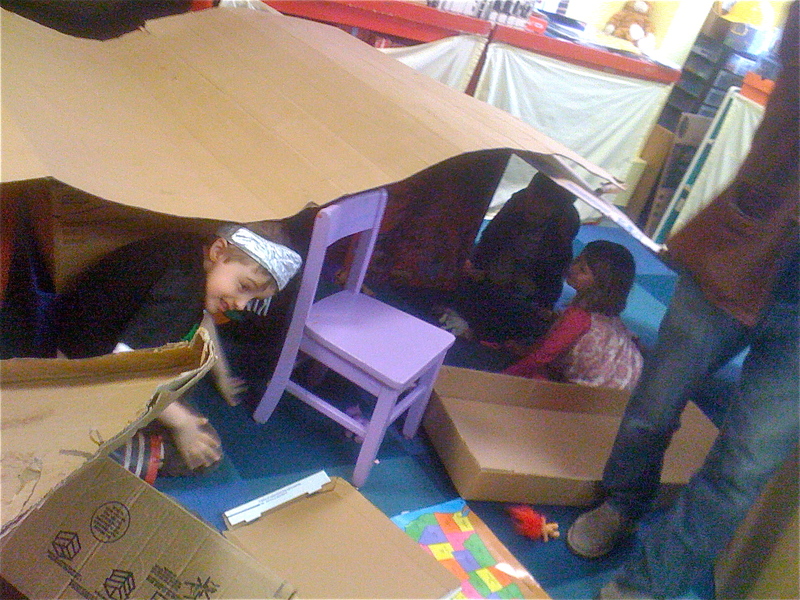 I mean the cardboard app can't be all bad if they're doing forts as young as three years old -- that's a lifelong skill there, people! 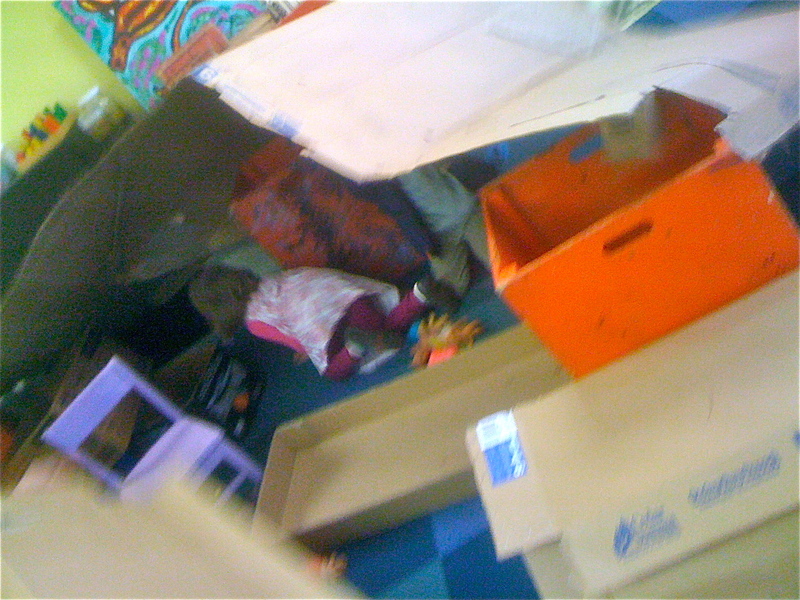 They started with the upright, roofless kind of fort. Like I said -- three years old. If you could see my face right now, I'd be raising my eyebrows at you in a knowing way. 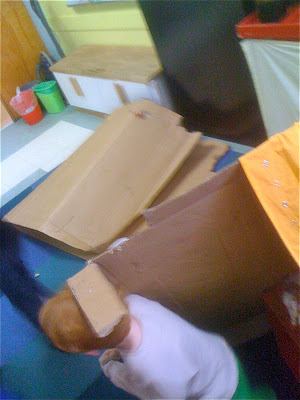 Then, get this, they figured out another kind of fort that involved getting low and adding roofs! I mean, I'm an educated guy, but these preschoolers took to the technology as if they were born with it in their genes. And I have to say, they didn't seem to be turning into cardboard zombies the way I'd feared. 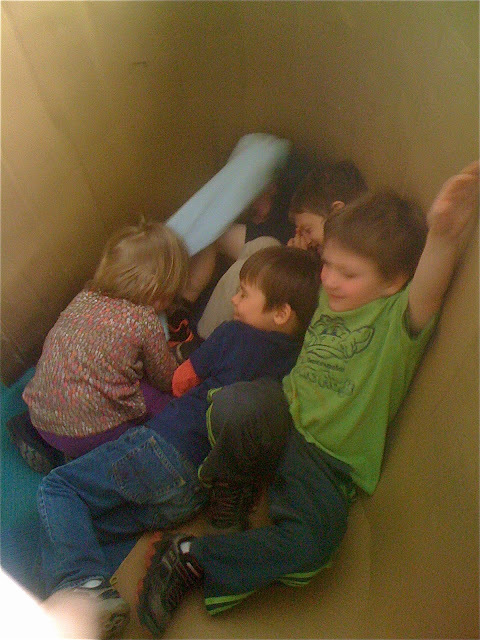 Only time will tell, of course, but for now they seemed quite actively engaged: not only with the cardboard, but with each other, and it really looked like it was involving their whole minds and bodies. I asked Megan if she'd found any need to set limits or anything, but other than "not in the living room," she hadn't so far. And she guiltily mentioned another feature that I'd secretly been enjoying myself: it really kept the kids occupied when she needed to get something done. I mean, let's be honest, that isn't always a bad thing. Then they figured out the slide, human sandwich, pig-pile function, which made them squeal. Anything that can make children laugh like that can't be all bad. Still, I had some questions. 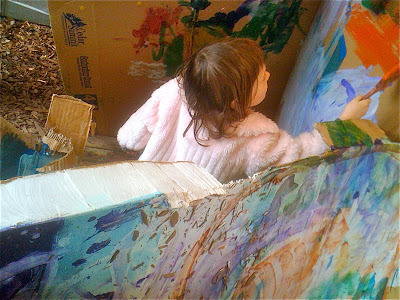 I decided to ask a few experts about their thoughts on young children and cardboard, starting with a psychologist who sighed, and said, "Well, it's cardboard. What can you do? You can't ban it. That will only turn it into forbidden fruit." 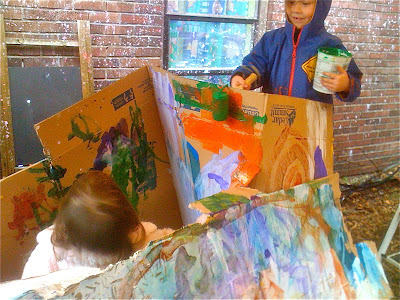 The neuro-scientist perked up when I asked him for his thoughts, saying, "There's actually some very compelling evidence that early exposure to large sheets of cardboard stimulates not only the part of the brain that makes you feel good to be alive, but also seems to have some effect on the every other region of the brain worth developing." This information in my pocket, but still not entirely convinced, I returned to school determined to try my own experiments. 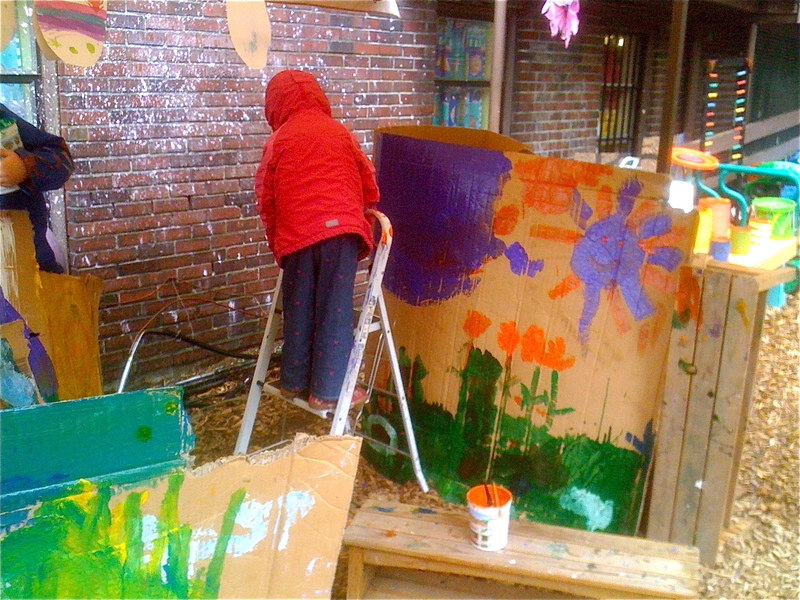 Of course I didn't tell any of my fellow teachers about this in advance for fear of being ostracized, but I took the cardboard outside. That's right. I was nervous about it, but the kids knew just what to do, discovering the paints and painter's tools function and transforming the cardboard into everything from a bus stop to a castle to a maze to a work of art. They engaged as if they were born to do it, creatively, scientifically, and socially. It's a brave new world folks. I'm a convert. Download this app today! You won't regret it. "Rise Up, Babies, RISE UP"